For people who love reading books, and I know there are lots of you reading this, I just spent two entire days in heaven at the Intl’ Miami Book Fair! The 31st year of the largest book fair in the country just wrapped up and I’m fortunate to live here where its held! I went to hourly panels and met with some of the most interesting authors on the literary scene. I purchased many of their books, at full price to support them and our local independent bookstore, http://www.BOOKSandBOOKS.com , which on a side note, gave me and my novel, “Viewer Discretion Advised” its coming out party when it was first published. We listened to dozens of authors speak, and despite what you may have heard about this whole shy-author-thing, many love chatting about “this ‘n that.” It seemed to me many novelists have taken vocal or acting lessons to improve their reading. I was surprised by the effort put forth by some writers to make their performances quite enjoyable. Branding and packaging is important even in the literary world, despite what may have been the opinion in the past. After, it was time to take photos and get books signed. 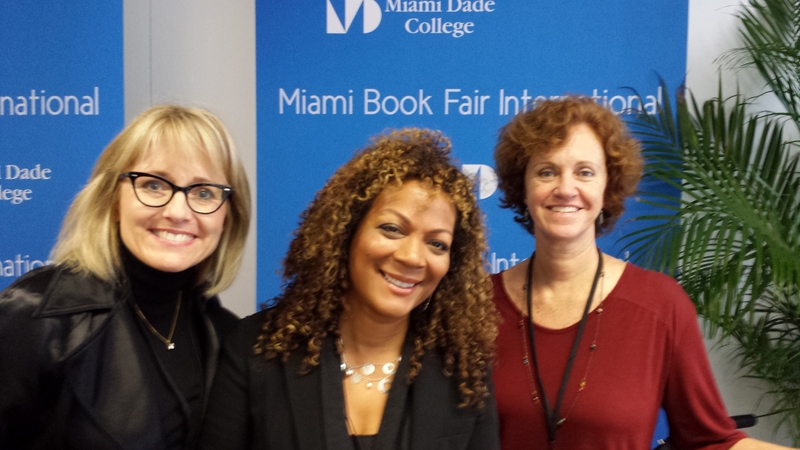 Here’s a taste of my experience at the 31st Int’l Miami Book Fair. After years of being Facebook friends, I finally got to meet Miami Herald’s Book Editor, Connie Ogle at author, Cynthia Bond’s reading. Cynthia’s novel RUBY is full of rich characters you won’t soon forget. In the harsh landscape of racial conflict and cruelty, her prose read like poetry. http://www.CynthiaBond.com has a sensual velvety speaking voice. 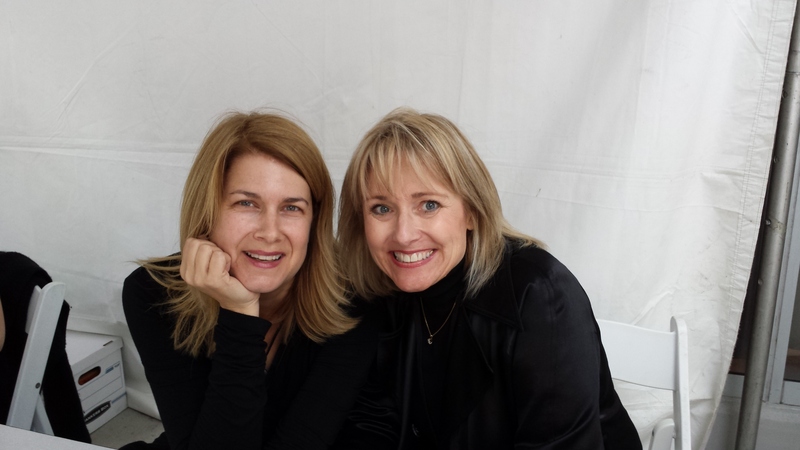 Connie and I agreed we’d enjoy listening to the audio version of her novel, if she read it. FOURTH OF JULY CREEK author Smith Henderson had no problem filling seats. Henderson’s novel about a social worker in Montana trying to help a young boy who comes in contact with the child’s Survivalist father, is already on nearly every top ten best novel list of 2014. I always find it interesting to meet another person who talks about growing up in a family waiting for the End Times. As a reader, I feel I know http://www.smith-henderson.com a bit deeper. Food, glorious food! People not only love to eat food. They eat up reading about people eating food! Chef http://www.JesseSchenker.com owns two NYC restaurants and has released his memoir ALL of NOTHING: ONE CHEF’S APPETITE for the EXTREME. 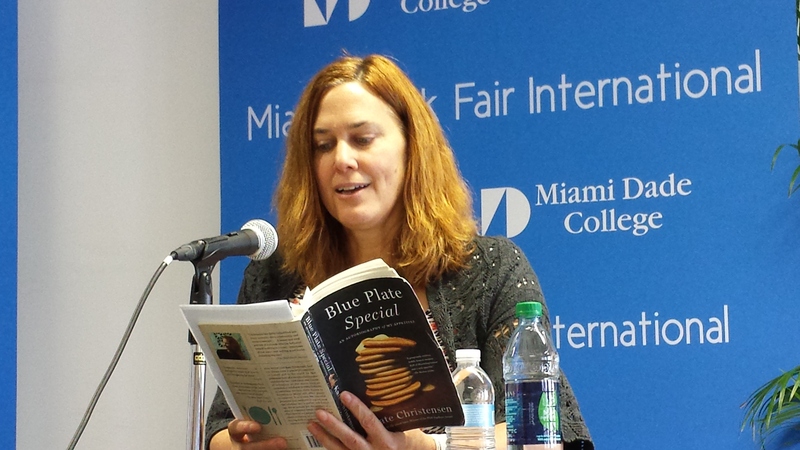 He joined novelist BREAD & BUTTER’s http://www.MichelleWildgen.com and novelist turned memoirist http://www.KateChristensen.wordpress.com whose BLUE PLATE SPECIAL: AN AUTOBIOGRAPHY of MY APPETITES is in paperback. I was thrilled to meet MERMAIDS IN PARADISE author http://www.LydiaMillet.net Two weeks ago I wrote a review of her new novel (listed on my blog) and she wrote an email back saying she liked it. I enjoy her dry sense of humor. Get MERMAIDS IN PARADISE! You will read it up!